Google Maps has the Tardis. Remember last month when it came out that Diagon Alley from Harry Potter was on Google Maps? Wellll, in case you haven’t heard yet, it was discovered yesterday that they’ve done it again. This time, Google Maps’ Streetview has a little easter egg named Tardis. If you click on this link to a map of Earl’s Court Road, you’ll see the street view of a police telephone booth. In front of the telephone booth, you’ll see white arrows on the ground. 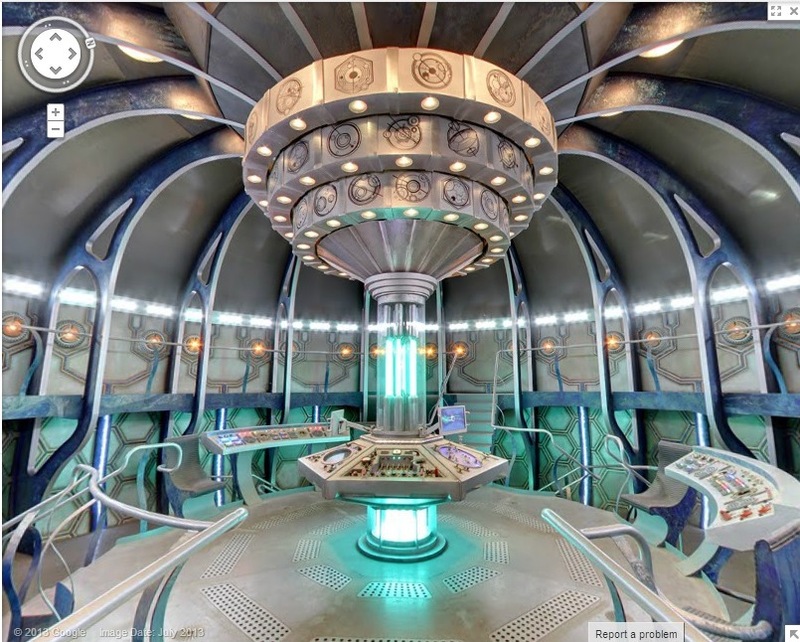 Click on the arrows and you’ll be transported inside the Doctor’s time machine, where you can explore the inside of the Tardis in 360. Enjoy! I wonder what the Internet will reveal next month that will make me love it even more. P.S. If you are signed up for the Beta of the new Google Maps it doesn’t work. To see it, you’ll have to use the old version. If you’re using Chrome, you can open the link for the incognito mode [or just private browsing on whatever browser you’re using] and it should take you back to the old Google Maps interface without issue. This entry was posted in Good times and tagged Doctor Who, Google Maps, Google Street View, the Tardis. Bookmark the permalink.